At Governor’s Village in Mayfield Village, Ohio, we realize that dining is more than just an important nutritional event. It is also a meaningful social occasion. Residents enjoy chef-prepared, balanced menu choices as they gather with friends in our elegant dining room. For those who prefer a quick bite, they can stop by the Sidewalk Café. 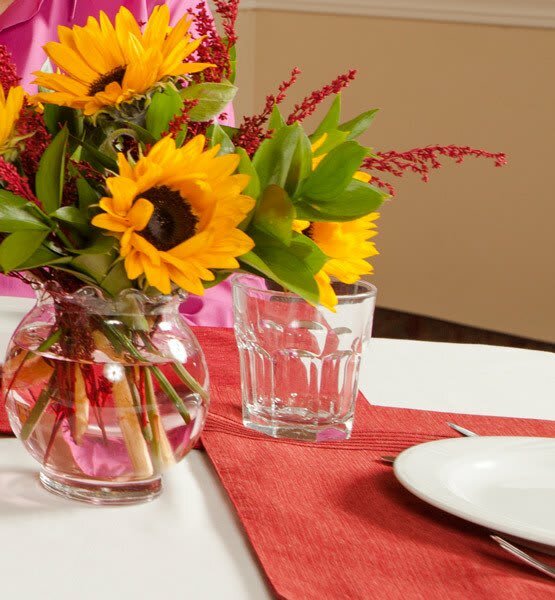 For more intimate meal celebrations, a private dining room is also available. Menu options for Liberty Suites, our specialized Alzheimer's and dementia care program, will occasionally be different than the rest of our community’s options. 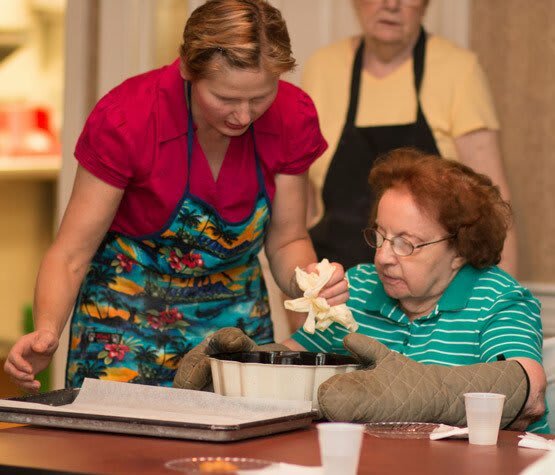 This is because food choices in Liberty Suites are selected to meet the unique needs of people with memory impairment, such as easy-to-eat finger foods for a resident who struggles to use silverware.